Italy’s new Government is considering another cut of its order of 90 F-35s. 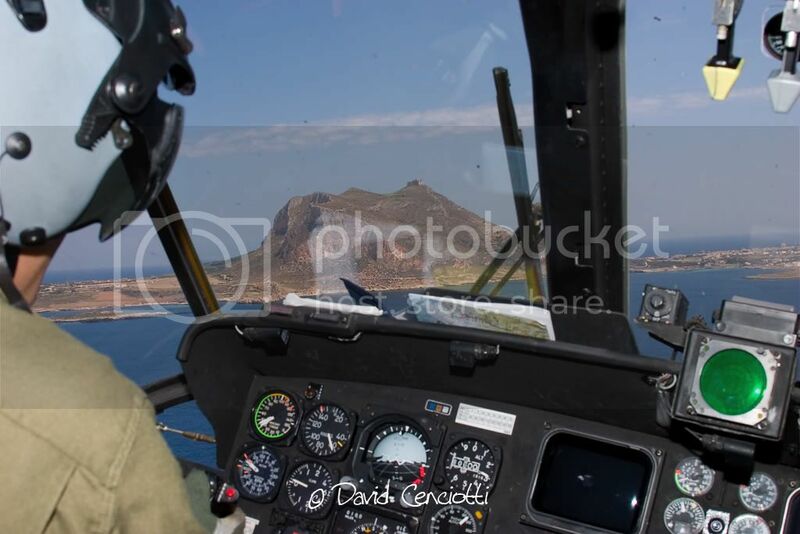 But the Spending Review is targeting Rome’s older aircraft carrier. Which has already appeared on eBay. Although nothing has been decided yet, it’s hard to believe the current plan to buy 90 F-35 to replace the aging fleet of Tornado IDS, AMX (Italian Air Force) and AV-8B+ (Italian Navy) will survive the cuts already announced by the new Renzi cabinet. Italy plans to save 3 billion Euro (4.18 billion USD) in defense savings over the next three years, money that will come from the sale of some barracks and military buildings, from a reduction of the personnel, and from cuts to some top spending programs, first of all the F-35, on which the government has so far committed to spend some 12 billion Euro. Dealing with the F-35, the order will be “revised,” meaning that cuts are certain, considering the amount of attention and criticism that surround the program. But, it is almost impossible to predict the extent of the revision. Some media outlets have foreseen a drastic cut to 45 planes, half of the current plan, and about one third of the initial requirement, set to 131 Joint Strike Fighters. The 10-page paper (in Italian, can be downloaded here) envisages an Air Force with two front line combat planes: the F-35 and the Eurofighter Typhoon. Noteworthy, the document highlights the multi-role capability demonstrated by the latter; it seems quite likely that, sooner or later, considered the cuts to the F-35s, the Italian Air Force (that so far has employed the Typhoon as an air superiority platform) will eventually commit its F-2000s to the air-to-surface role as done by the UK since Libya Air War. Another issue raised by the document is the cost of the “operational redundancy” caused by the Italian Navy’s two aircraft carriers. The most obvious candidate to be scrapped is the Garibaldi, Italy’s first post-war aircraft carrier. The Garibaldi, joined by the larger and more capable Cavour in 2008, could be sold to some emerging country looking for second-hand helicopter carrier capable to support Amphibious Assault operations. 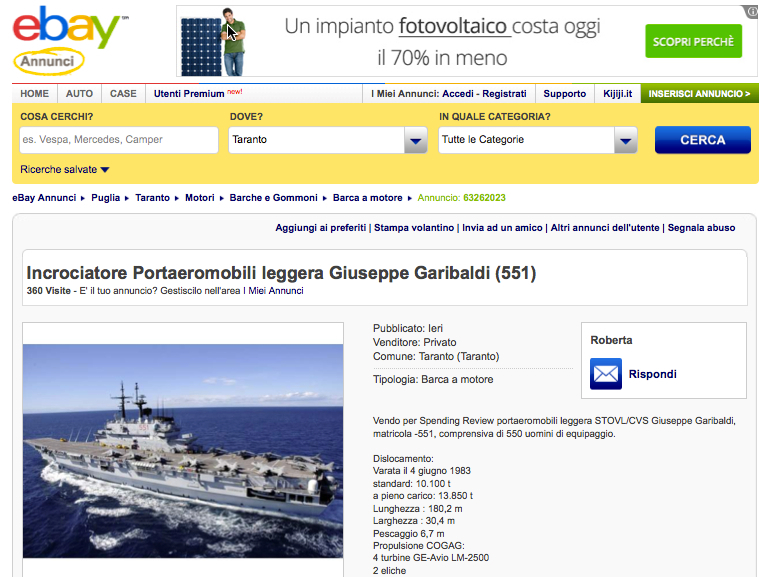 In the meanwhile, you can place a bid to buy the Italian aircraft carrier on the auction someone has wryly put on eBay. Image credit: Lockheed Martin (top); eBay screenshot (above).